﻿Congratulations to Happy Gilmore for winning the Winter League 2015 playoffs! 1. Go to Speedway's MySAM website. 2. Create a new account using your desired email address. 3. Read and sign the waiver that's shown after registering. Contact us at info@lincolnultimate.com if you have any questions. 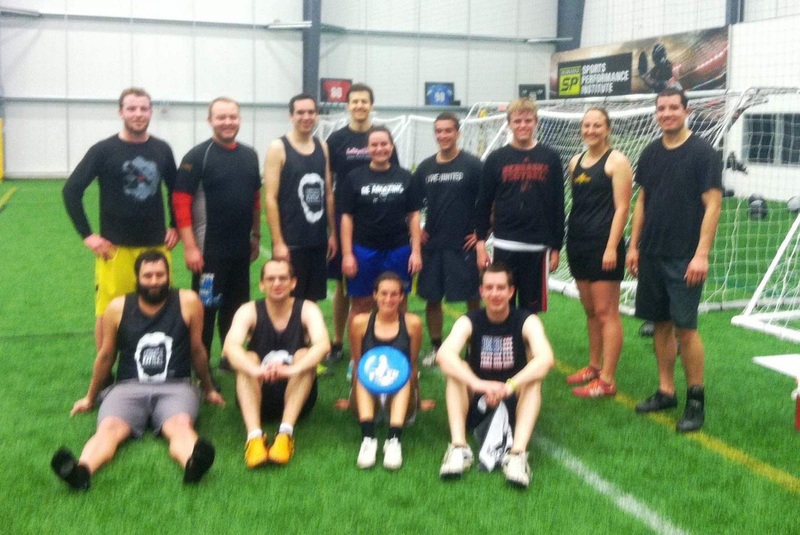 5 v 5 Coed -- at least 1 girl per side on the field. If a team has no girls present and the other team has at least one girl present, the team with no girls shall be assessed a penalty of two points per half. Alternatively, if a team has no girls and the other team has two or more girls, the captains can discuss the idea of having one or more girls switch teams to make the game more enjoyable for them. Captains would then have to agree on what point penalty, if any, to assess. Games are indoors at Speedway Sporting Village (345 Sporting Village Drive, off of Hwy 2/Van Dorn Street from Hwy 77). 2 games per team per night. When determining seeds for the end-of-league tournament, in the event of a tie between teams, the tiebreaker used will be the record of head-to-head games between the teams. That is, the team with more wins in the regular season against the other team(s) will be the higher seed. Registration fee is $30/player and covers the cost of field rental. League dues must be paid by week 2, January 29. Cleats are allowed at Speedway Sporting Village. Cleat or athletic shoes are recommended. Each round is 60 minutes (strictly enforced). Games last 55 minutes, with a 5-minute warning announced at 50 minutes. Each game is to 25 points (no win-by-2 rule), or 55 minutes running clock. Halftime at 13 points. No pull after points are scored: the opposing team takes the disc where the point was scored (or brings it up to the goal line) and resumes play immediately. Substitutions are made on the fly, with a high-five before the sub can come on the field. Stall count is only for 8 counts (not the normal 10). Players shall start counting at 3, ending as normal at 10. 2 timeouts per team per game. Fields will be approximately 22 yards wide and 60 yards long (40 yards proper, 10 yard endzones). Additional details of Speedpoint are described at the bottom of this page. Contact info@lincolnultimate.com for more information.